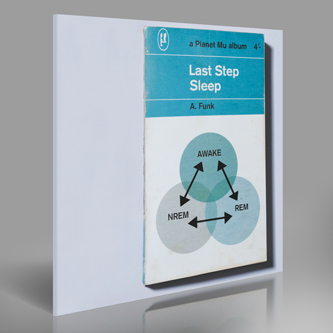 Last Step, as you should know by now, is the stripped down sound of Aaron Funk (Venetian Snares) toying about with his analogue arsenal. As the title of his third album suggests 'Sleep' is concerned with hypnagogic states and was produced entirely while Funk was on the cusp of nodding off, as he elucidates: "For a while, when I was really tired and ready to go to bed instead of going to sleep I would make a tune. Get some stuff going on my sequencers, drum machines, patch up my modular and just jam it. Would fall asleep a lot listening to the sequences, few seconds of sleep or a few minutes, wake up in it. This is what I sound like in my sleep". Essentially it sounds like The Analord or Legowelt stuggling to stay awake after a handful of valium: tracks are liable to collapse halfway through before jolting back into action, regaining their flow only to wander of again as the tiredness diverts his attentions. 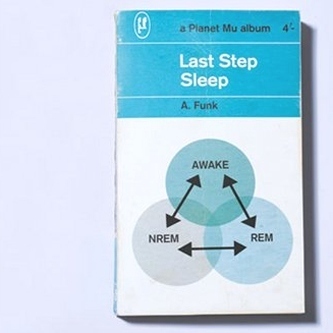 It's a wicked idea and works brilliantly, especially in light of the recent wave of "knackered" doings by Cuticle, Andy Stott, Vessel, Actress, but also done with that wry sense of humour that's always been battling with Funk's compulsively complex tics.